Undertale is a single-player RPG developed by Toby Fox and initially released in 2015, following a successful 2013 Kickstarter campaign where it funded ten times the amount initially required. (Proving that even before this game was even fully developed it was proving to be a hit!) The story of the game follows “The Fallen Human”, who the player names at the start of a new playthrough, as they try to work their way through the underground realm of monsters in a bid to try and reach the surface, dealing with puzzles and challenges along the way. Decisions are a big part of the battle mechanics; choosing to spare or kill your opponent can lead to one of a few possible endings- the most infamous two coming after the so-called “Pacifist” and “Genocide” runs of the game. Honestly the memorable thing about this game is the soundtrack. There’s so many tracks that make for easy background listening (in fact many of the tracks feature on my revision/study playlist) and Toby Fox’s is gifted at making each area sound completely different, yet linked, and just as beautiful as the last. My personal favourites are ‘it’s raining somewhere else’ and ‘Home’. Even the small piece titled ‘Determination’ that plays when your HP falls to zero isn’t unpleasant to listen to. If anything I found myself growing more determined after listening to try again. The pieces that play during the boss battles – both the peaceful and genocide runs’ versions – are high-paced, catchy and give each battle (that is different in style and technique) their own feel that always relates back to the character. From the more jolly and snappy ‘[Bonetrousle]’ for Papyrus, to the overture that is ‘Hopes and Dreams/Save The World’ during the finale – the boss battle tracks bring tension and grab your attention with more than just a sudden wild use of vivid colours. But that’s just talking about the pacifist run tracks. For the genocide run, there’s fewer pieces to listen along to, but each brings desperation and a stronger need for the inhabitants of the underground to stop the player’s murderous rampage. Undyne’s track goes from a military general doing their job, to a true hero saving the rest even to the brink of death/mortal injury. The alternative route is harrowing, and I can’t bring myself to attempt this run, favouring to watch others play through it themselves (even if I do miss out on what it agreed to be the best boss fight in the entire game). The crown for the best boss battle track, however, goes to Sans. Yep. The laidback, joking character from the Pacifist run is now the hardest boss in the game if you choose genocide. There’s just something about ‘Megalovania’ that almost makes it seem that you’ve gone a step too far – and the battle that accompanies it is no exception. Sans is ruthless and breaks the laws and dynamics of the game that you’ve learned and completely destroys you if you don’t have quick reflexes. (Think twice about his offer of mercy half way through – he’s still a prankster, remember!) For such a cute animation style, with no voice acting for any of its cast, Undertale and its storyline really packs a punch. The design of the game brings back nostalgia for older titles such as Earthbound and its 80s graphics, and repeated attempts at the game are rewarded with little meta jokes here and there, as well as little changes in dialogue. 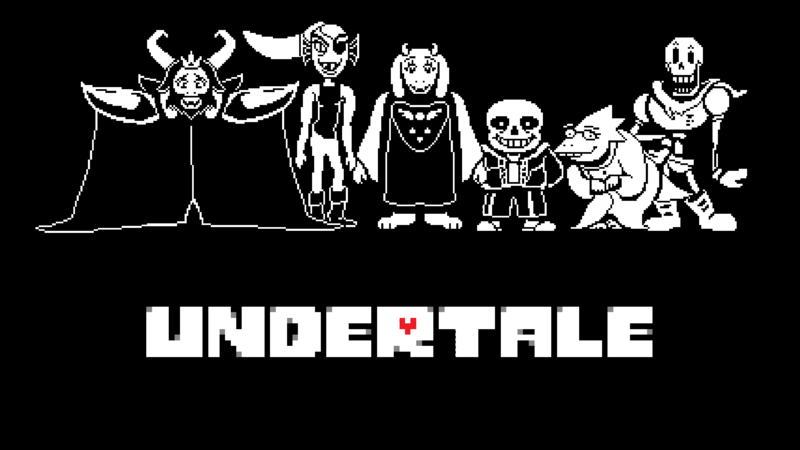 The reception of this game has me super excited for Toby Fox’s next adventure with some of these characters in Deltarune (full release date TBC), which is prepared to turn everything we know about the Undertale playstyle and the universe, on its head. Undertale is available on PC, PS4, Xbox One, Nintendo Switch and more now. First year history and archaeology student. An avid lover of films, video games, and archery. Can usually be found discussing Lord of the Rings somewhere.